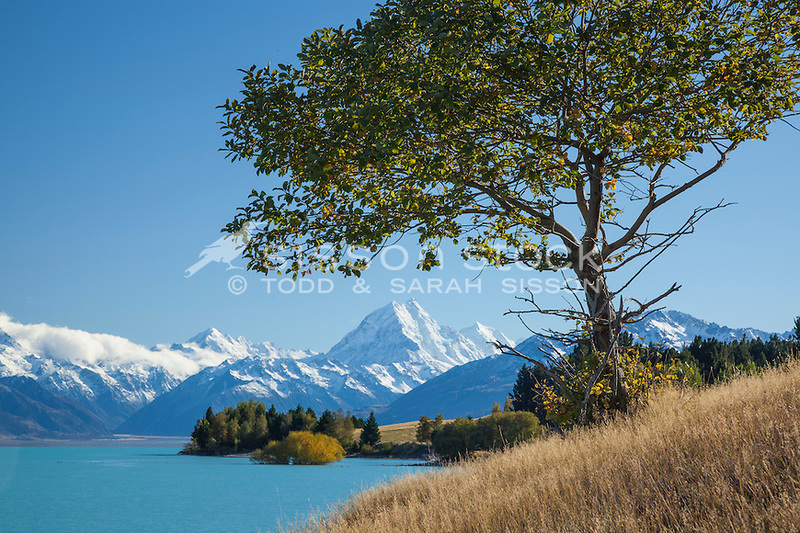 Wild apple tree - Lake Pukaki. Mt Cook & fall colour in background. Mackenzie basin, South Canterbury New Zealand.